Radomír Václav Luža, Dr. iur. (Masaryk University of Brno, CSR), PhD (New York University), was a resistance fighter against Nazi dictatorship in occupied Czechoslovakia 1939-1945, US historian and author of the first comprehensive history of resistance in Austria 1938-1945. Radomír Luža was born into a patriotic soldier’s family in Prague. His father was the renowned Czechoslovak general Vojtěch Boris Luža. During the First World War Luža’s father had been member of Tomáš Masaryk’s “Czech Legion”, an army of more than 70,000 soldiers in Russia, which fought for the re-birth of Czech statehood. Because of his father’s prominent role in the inter-war Czechoslovak army, Radomír Luža’s birthplace was the Štefánik barracks in Prague, nowadays the Czech Ministry of Justice. Later the family moved to Brno where Radomír attended the high school (“gymnázium”). After the annexation of the “Sudetenland” by Nazi Germany in October 1938 and the occupation of the other Bohemian lands in March 1939, father and son stayed in the then “Reichsprotektorat” in order to organize clandestine resistance networks. In summer 1941, after his father had gone underground, Radomír was arrested by the Gestapo, but eventually released. His father became one of the most important figures in the Czechoslovak resistance and had responsible positions in several non-communist partisan groups like “Obrana Národa” (“Defense of the Nation”). 1944 he was shot by a police patrol in an inn near Přibyslav. Luža jun. stayed undetected. In 2002, Radomír Luža wrote, together with a colleague at Tulane university, the late Christina Vella, about these crucial years of his life: The Hitler Kiss: A Memoir of the Czech Resistance (Louisiana State University Press). After the liberation Radomír Luža studied jurisprudence at the Masaryk University in Brno. He joined the Czechoslovak Social Democratic Party, and was engaged in the restoration of the party’s youth organization. He also became member of the local board of the association of non-communist partisan groups, the Union of National Revolution (“Svaz národní revoluce”) in Brno. After the communist takeover in Prague in February 1948 he was, as an “enemy of the people’s democracy”, deprived of all his leading positions. Together with his wife Libuše he fled to Austria in March 1948. Whereas the party in Czechoslovakia (“Československá sociální demokracie”) was incorporated into the Communist Party, emigrants like Luža established in London a Czech Social Democracy in Exile. From Vienna the couple moved to France, where Luža started to study history at Sorbonne University. 1954 they emigrated to the United States. Radomír Luža continued his studies at New York University. Also from the US he took part in political actions in Europe. His field of activities was the International Union of Socialist Youth, which he had joined already in 1948 in Vienna; his Austrian friend Peter Strasser was president of the IUSY until 1954. 1960 the Lužas returned to Europe. In Vienna he started working about the complicated German-Czech relations during the Nazi era and its aftermath. His book “The Transfer of the Sudeten Germans: A Study of Czech-German Relations, 1933-1962” was published in 1964 by the New York University Press. In Vienna he maintained close relations with Austrian Social Democratic politicians and with ex-resistance fighters who, at this very time, founded the Documentation Center of Austrian Resistance. But only in the 1970s and 1980s he wrote his two books about Austrian Nazism and its foes: “Austro-German Relations in the Anschluss Era” (Princeton University Press 1975, German edition 1977 under the title “Österreich und die großdeutsche Idee in der NS-Zeit”) and “The resistance in Austria, 1938-1945” (University of Minnesota Press 1984, German edition 1985 under the title “Der Widerstand in Österreich 1938-1945”). Because of his continuous anti-communist engagement Czechoslovak, Polish and Hungarian secret services had been watching his political activities since he had left Czechoslovakia in 1948. After 1989 he found out that 23 intelligence agents had written non less than 538 reports about him. 1966 the Lužas went back to the US and settled in New Orleans. 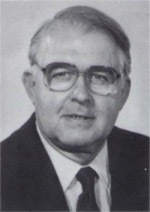 From 1967 through 1993 Radomír Luža was professor for European and German history at Tulane University. Invited by Václav Havel, the Czech president after 1989, Luža returned part-time to the Czech Republic to give lectures there and to support the re-establishment of the Social Democratic Party. He was appointed professor for global history at the Masaryk University in his home town Brno. Both in the Czech Republic and in Austria he received awards for his life time achievements. When he finally retired from teaching, the couple moved back to the US, where they lived close to Philadelphia. On 8 August 2001 Libuše Luža died in New York at the age of 72. Radomír Luža lived to the age of 87.